A great memory is within reach! Maybe you’ve seen the TV news shows that document ‘super memory’ individuals who can remember anything, including what they were doing at a specific date and time 25 years ago. While their brains are an anomaly of nature, training our brains to have a great memory is not. A new research study out last week documented this very idea. It studied individuals with average memories and trained them with two different memory techniques to see if they could improve their memory. They then scanned their brains and compared them to so-called ‘memory champions’ who train to have superior memories. The average people who trained their memories saw vast improvement compared to the control group who received no training. Some remembered more than double the amount they had before the training. Better yet, they were able to sustain this improved memory for over four months! This is great news confirming what many of us in memory wellness understand. You CAN train your brain to have a better memory! The most interesting discovery, however, was the difference they saw on the brain scans. The new trainee’s brains were beginning to look similar to the memory champion’s! Not only did the training induce behavioral change in memory, it also induced similar and new brain connectivity patterns in the brain. The brain connections made by the memory training created two different pathways often used with strategic learning and association. What this means for all of us is that we CAN improve our memory with proper training, education, and stimulation. I often play a game with my groups and tell them they will remember over 24 random numbers. They don’t believe me, until a few moments later when they actually do it! Memory can be improved and there are strategies to help anyone, even those with early-stage memory loss. 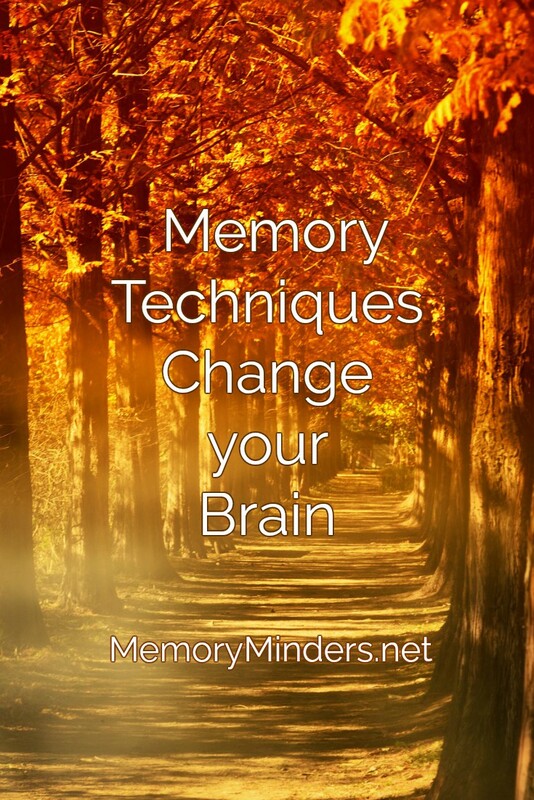 If you are interested in improving yours or a loved one’s memory, contact me and let’s see how we can help you have a superior memory too!